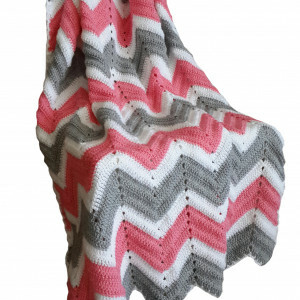 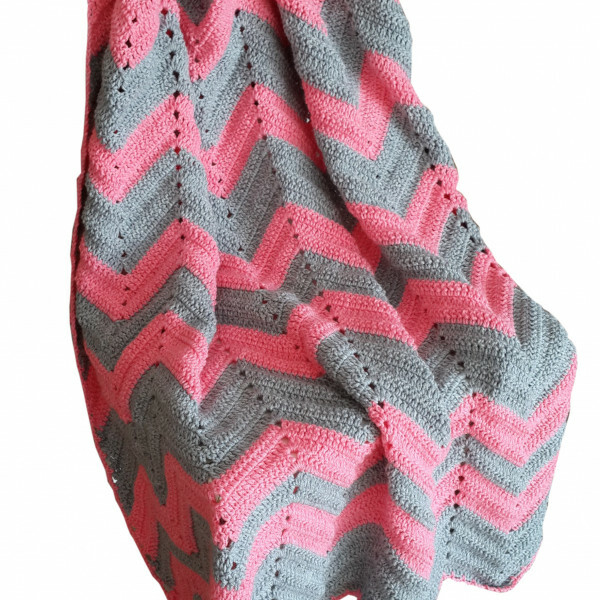 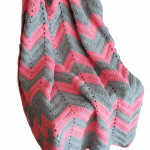 This particular blanket is made in Light Grey and Coral Pink. 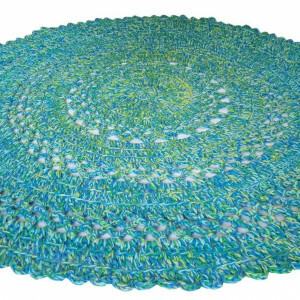 The yarn is 100% Acrylic. 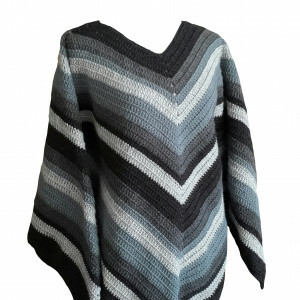 It can be machine washed - preferably wool or hand wash on 30 degrees Celcius - and dry flat over a rack to avoid stretching. 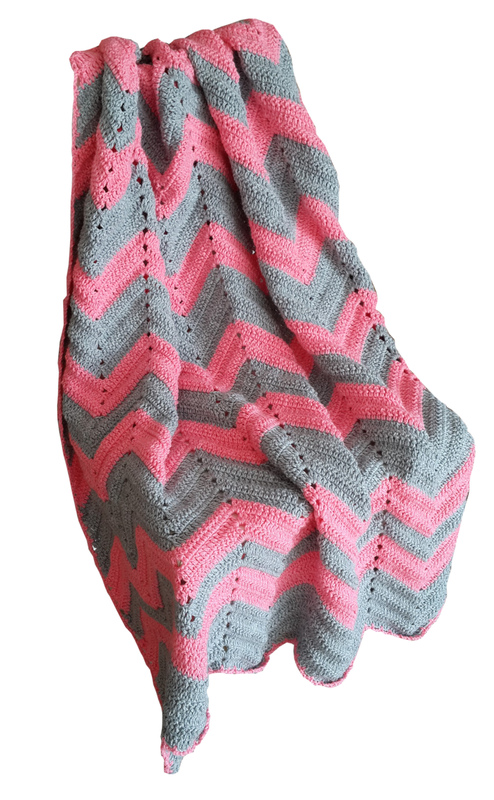 Try not to wash too often.